At On2audio you can rest assure that you will be educated on our best selection of remote starters & security. Be at ease knowing that our installers have over 27 years of experience & will help you find the best option to tailor your needs! 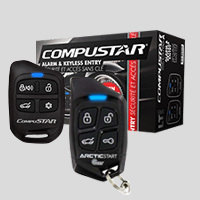 Check out our best two seller remote starter & security systems from Compustar! The CS800S provides 1 mile of range and water/impact resistance. PRO T11: 3 miles of range including interactive 2 way LCD; water proof and impact resistance. When it comes to upgrading your vehicles factory radio, speakers, adding subwoofers, amplifiers to improve the overall sound or video entertainment to make your ride more pleasant; look no further you have arrived at the right place. Miguel Medina owner of On2audio has been doing this for 27 years has worked on thousands of vehicles, boats, motorcycles and his staff are experts in the craft. You will leave MORE THAN SATISFIED! Our best seller Phoenix Gold Amplifier, Subwoofer & speakers; will give you the best sound quality! Keep your eyes on the road & enjoy hands free calling! At On2audio we will walk you through the different Bluetooth products and features to fit your lifestyle. 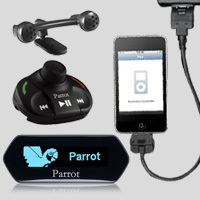 From factory look Bluetooth to Bluetooth car kit; You can be confident that you will get what you need! Once our technicians integrate your iPod to your radio; you will enjoy seeing your songs, artist and playlist through your stereo. This option is available in most cars. Call us to find out what perks you will gain from your iPod integration! Safety is priority! 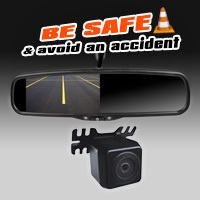 Allow your back up camera to show you when it is safe to back up. The sensor is also another great addition to ensure you don’t back up and hit a child, another car or anything that can cause you damages. With our wide selection of back up cameras and sensors you are sure to find one that works best for you! Custom Fabrication is our number one specialty. 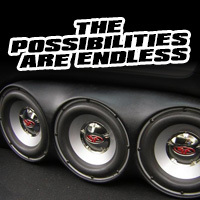 Miguel Medina owner of on2audio takes pride in all of his custom work and his clients can back it up! He has been doing custom work for over 27 years; His two main goals are CREATIVITY and CUSTOMER SATISFACTION. Your trips will be much more pleasure with the wide selection of channels provided by SiriusXM Satellite Radio. Every music genres, news, sports all at your fingertips! Ask an On2audio specialist and leave with plenty of entertainment! Window Tint can make your ride more pleasant! By protecting you from the sun's harmful rays. As well as reducing heat and glare. We have various shades of film and only utilize the BEST quality. A radar detector can help you reduce your speed limit to avoid a speeding ticket! By letting you know if your speed is being monitored by law enforcement as well as keeping you posted of all speed limits. Prevention is key! On2audio specialist are here to provide you with all the information you need to make the best choice! Own a fleet vehicle business? Need to know where all your vans are? Or just want to keep an eye on your child while driving? We are here to educate you on your best option and make sure you are satisfied!